My friend Linjo Joson, who runs an interior design blog focused on shelving units, was kind enough to stop by today and share his bookshelf-wisdom with us all. After checking out his awesome contemporary bookshelf recommendations below be sure to visit him over at Best Shelving Units. A few years ago, with the advent of e-readers with e-ink displays, many felt that the last nail had been struck onto the coffin for ink-on-paper books. Who would have wanted to lug around 50 books when you could carry a thousand in a portable device? Apparently a lot. And for this apparently-a-lot group, the joy of turning page after page while breathing in the paper-rich aroma comes at an added price. How do we store these books? You can always dump them in a box, and let it gather dust and end up as a termite mound elsewhere, or you can turn them into artsy pieces of decor (or geek-or, if you please), making a warm, cozy and creative ambience inside your living area. When the selfie rage took hold of the world, bibliophiles came up with ‘shelfie’, the bookshelf selfie, to flaunt their literary collection. With the following contemporary bookshelf ideas, you could unleash the hidden interior geek-orator inside you and give another dimension to your books. There you go – instant conversation starters as well. If there is a ladder gathering dust in your garage, you can easily transform it into a hip-hop ladder bookshelf. Any ladder fits the bill: metal, bamboo, wood, you name it. It does not matter if it is old or new, use the old one for the rustic look and the new-ish ones for the neo-industrial look; simple, eh! All you need to create magic are a few planks to slide between the rungs and ‘voila!’ your DIY shelf is ready. A corner bookshelf is a no-brainer, and can be flexibly used with many other kinds of shelves. For a spartan, yet elegant look attach floating frames to the corner of your living space and couple them with your favorite bookends. Forego the bookends and mix between horizontal and vertical stacking for an appealing look. Attach a ladder to our wall horizontally for a corner-ladder bookshelf. Another awe-inspiring floating frame design, diamond bookshelves provide an instant boost to your otherwise spare wall-space. Here too, try the mixed stacking method for stability and looks. Moreover, this bookshelf also provides scope to arrange a few of your personal belongings such as photographs from your literary escapades, or the last family vacation, or the bedtime stories nana used to lull you to sleep with, the list goes on. Constantly on the move with your books? 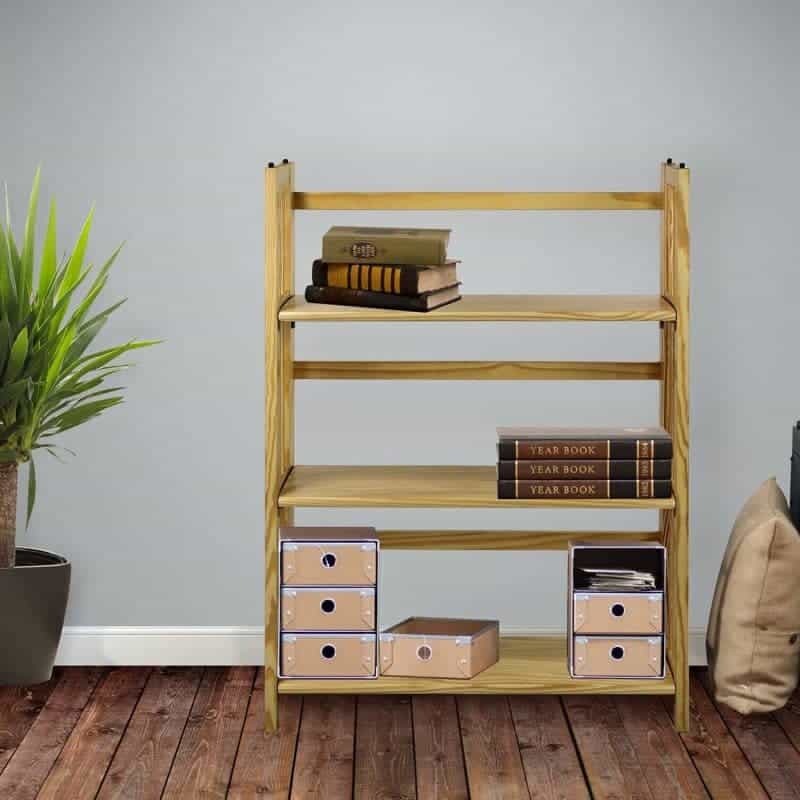 Or are you looking for a simple, yet classy bookshelf? Rope bookshelves provide portability, yet is oddly reminiscent of treehouses and nature. Simple to set up and maintain, this is ideal for smaller displays, perhaps your most precious items. All you need to make your own rope bookshelf is a couple of sturdy planks and a few yards of strong rope. Already have it in your closet? What are you waiting for!? The best part about these bookshelves is that when you feel that it’s time for a makeover, all you need is get a different colored rope (or a multi-colored one) and there you go – instant gratification! Foldable bookcases can take whatever you throw at it. It is very easy to put up (slide the boards into the frame), very easy to dismantle (slide the boards out of the frame) and makes it easy to carry around when moving places. This feature also makes it easy to clean and upgrade. Bored of it? Fold it and forget about it, until the time comes when you want to use it again. All you need then is to unfold it and set it up again. 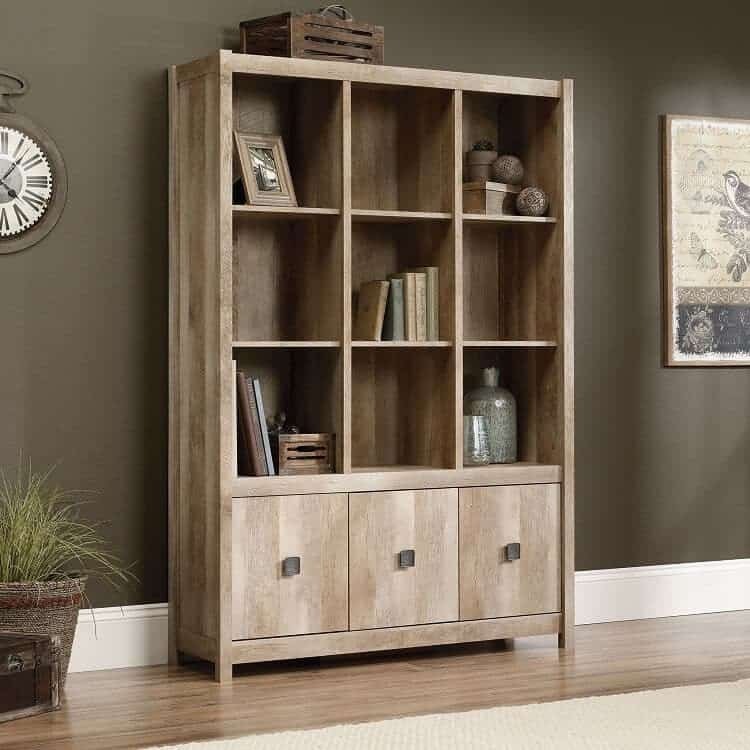 The sheer simplicity and flexibility about this bookcase provides the bibliophile peace of mind to read as many books as needed, making it an investment worth making. 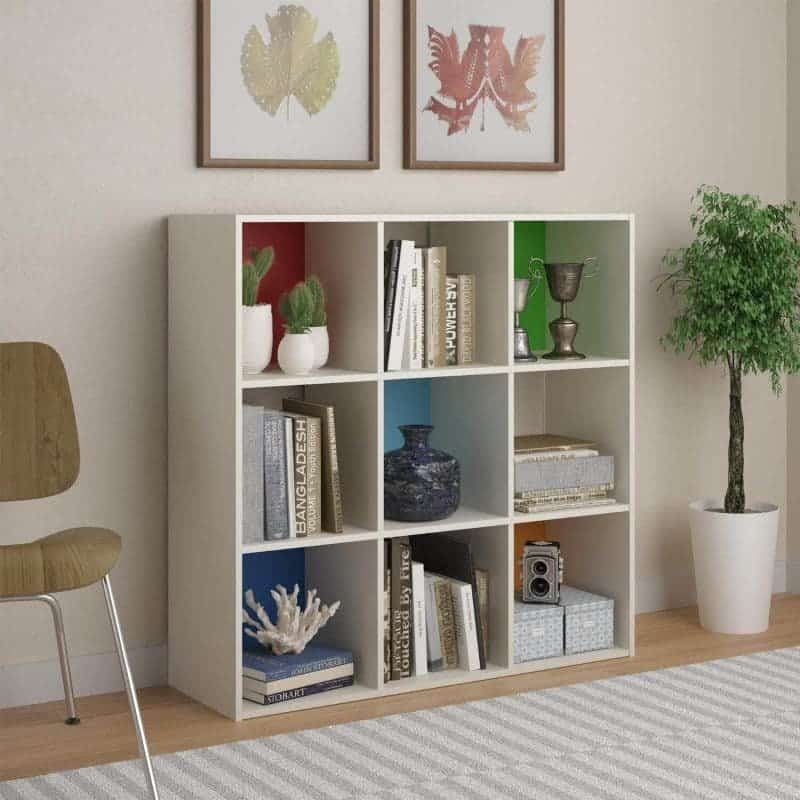 Perfect for a modern look, the bookseat bookshelf adds a quirky style to your home. 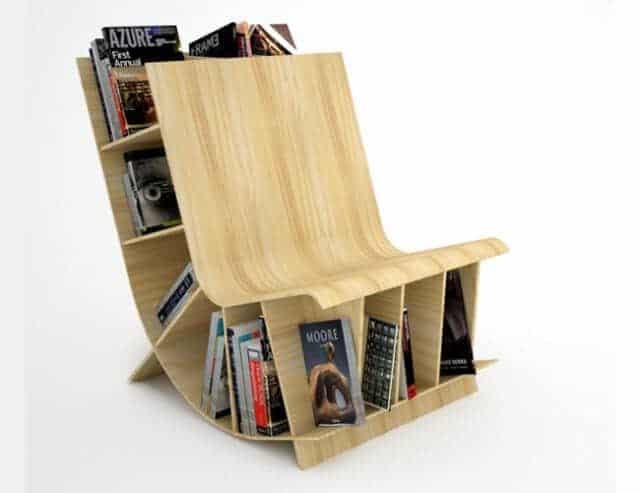 It goes all the way from conserving space to embellishing your reading area with a touch of innovation and style. You can add your own creativity by converting your reading space into an enviable book lounge by further classifying your books by type into separate book seats. Sit back and enjoy your favorite book without moving much further than you need to. 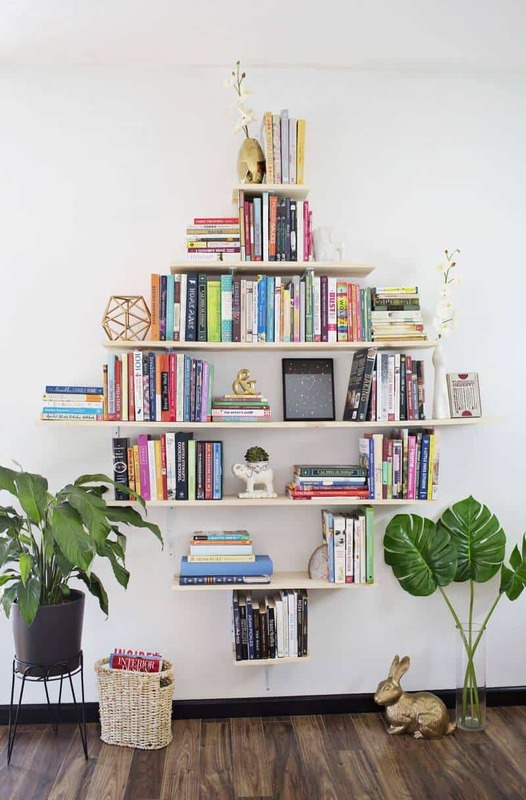 If you are looking for the best way to organize your books and cannot find the space for setting up a personal library, the “Has been read” and “Will be read” bookshelf has much to offer. Simplicity and style blends together in this masterpiece of elegance which is ideal at work or at home. Next time you have your friends over for some book-ie woogie fun, it will be easy to have long discussions over your favorite drinks about the books you have read,and also get wonderful insights about the books that are yet to be read. 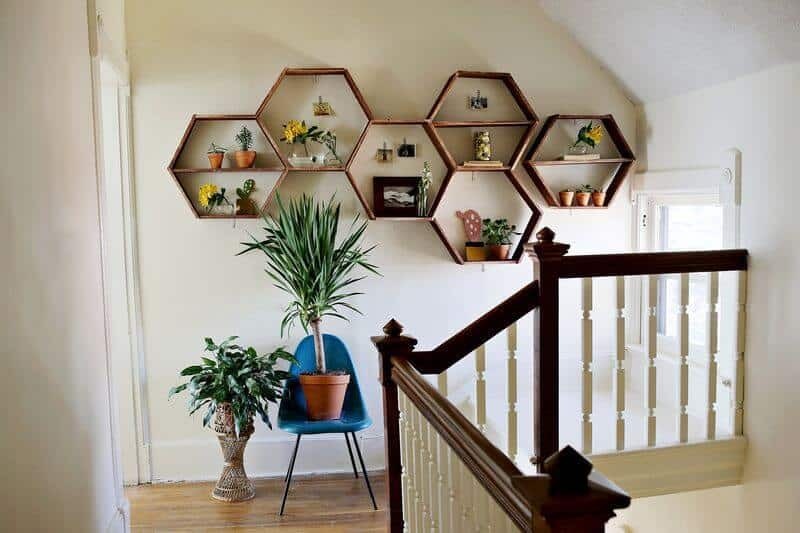 Honeycomb bookshelves (Hexagon shelf) is another contemporary bookshelf for your home. It is made up in the shape of a honeycomb and this gives a sleek look to the shelf. 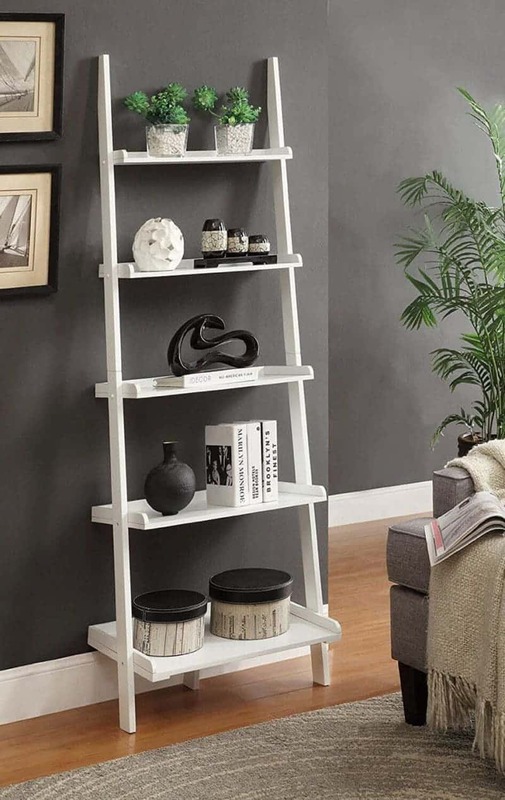 You can use this shelf in your living rooms or in your staircase walls to get an appealing look. 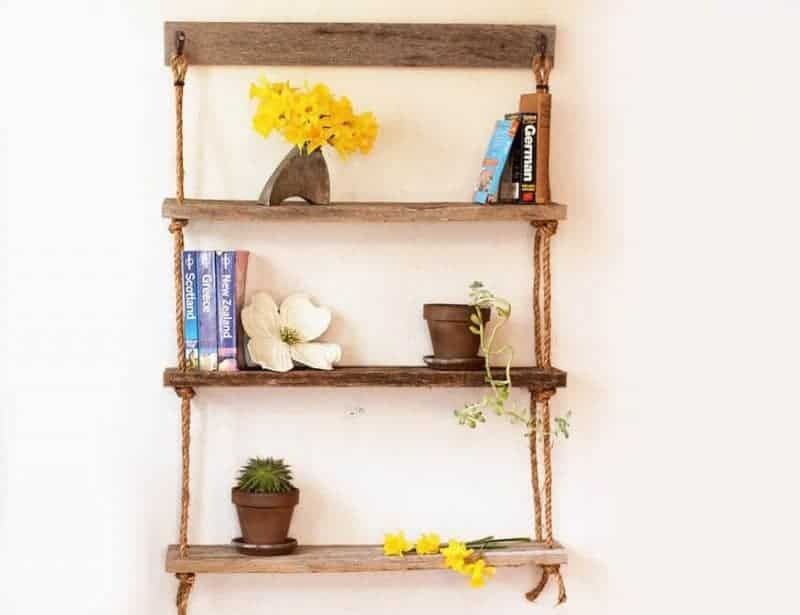 Bring back the good old times and deck your halls with rustic wooden shelves. The classic never goes out of style and is indispensable to create an air of natural warmth and beauty reaching the roots of the past. The nostalgic aura associated with its raw simplicity is hard to resist and spreads a sense of comfortable delight and peace making it a reading space one would not want to come out of. Depending on your taste, you can either go for distressed wood or metal for your taste of vintage look. You know how the quirkiest options in a list are always revealed at the end… well this list is no different. 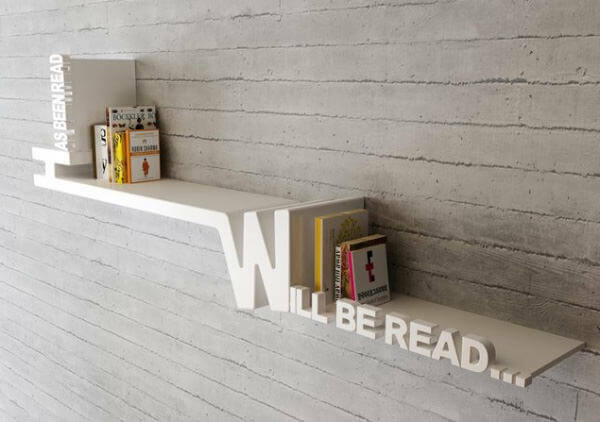 The bookworm bookshelf, with its suggestive name, comes with a breathtaking gravity-defying-like design. Cleverly placed pegs prevents your printed treasures from slipping off the edge, while the refreshing, non-angular design makes it the perfect accompaniment for the trendy hipster in you. 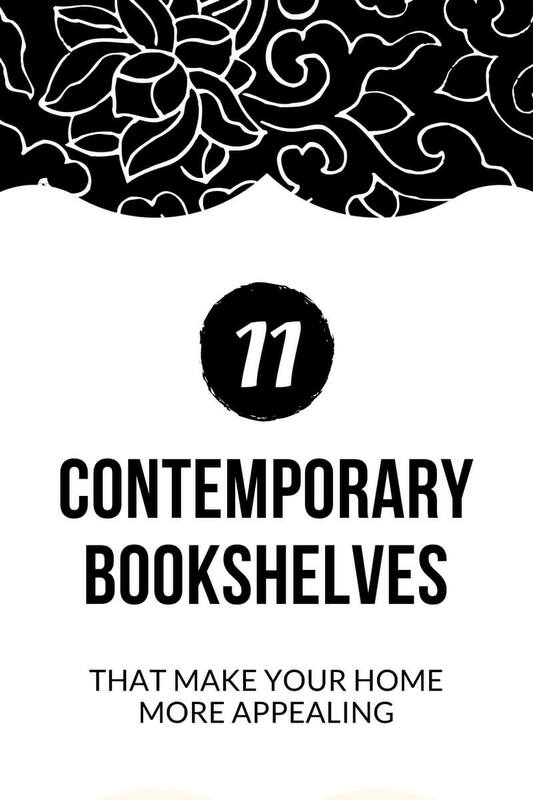 Which of these 11 contemporary bookshelves is your favorite? I like the Rustic Wooden Bookshelf the best. I like that it has a back to it and the cabinets on the bottom. 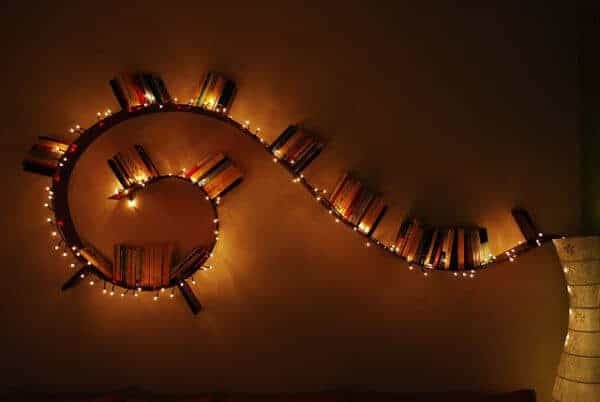 I love the aesthetic of the bookworm bookshelf – it also functions as art. I like the Rustic Wooden Bookshelf, but then again I really like the cube bookshelf and the rope bookshelf’s too! I love these! Plus they make a good excuse to buy more books! I like #4, the ladder, and the bookworm is really fun, I might have to do that soon. Wow! These shelves are incredible. I expected to find some simple, but modern shelves. I’m blown away by some of these shelves. They’re so creative and add a really fun feel to your home. My daughter has a ladder bookshelf in her bedroom. She likes it because she can also hang her medals on it. Now, if she would only dust it! All of these bookshelves look amazing! My favorite is the Bookworm Bookshelf. OH my!! I LOVE all of them!! They are all so gorgeous and all so needed in this house! Im quickly running out of bookspace lol!! Love the bookworm one the most! I like these but only a couple of them are big enough to hold all my books. Wow I never thought of getting a different look with bookshelves but I’m amazed! And I can sure use them! Oh man these are all amazing!! I super love 3, 7, 8, and 11! !